We’re going to start off the week with a couple of editions of FormerWNYersFindingRealRides. 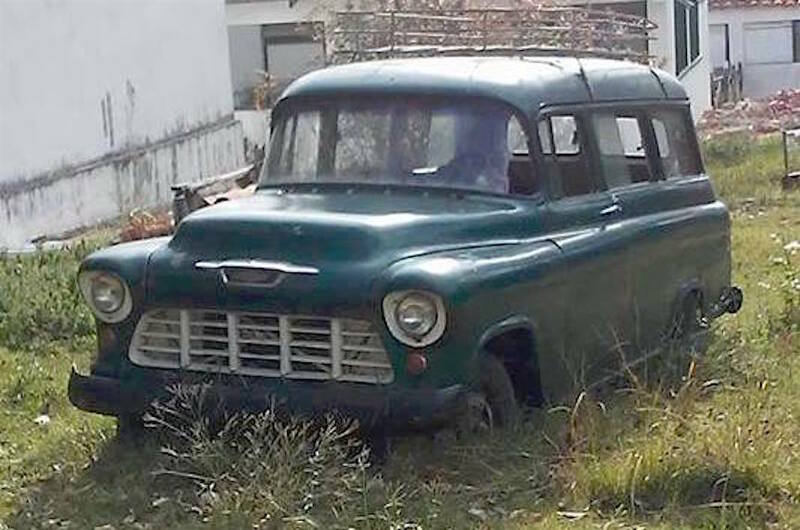 Today we have a 1955 Chevy Suburban, spotted by current Florida resident Tad Ries Dziekonski when he was living and working in Columbia. This old relic (the Suburban, not Tad) is actually a capital find, seen this past fall in Bogotá. (Get it?) Being where it is it’s not a surprise that it looks pretty rust-free; and from its stance-in-the-grass and broken windshield, I’d also say it’s been parked there for a while.